A really bad year for the world's second-largest email service provider, Yahoo Mail! The company announced today, 'we identified a coordinated effort to gain unauthorized access to Yahoo Mail accounts', user names and passwords of its email customers have been stolen and are used to access multiple accounts. Yahoo did not say how many accounts have been affected, and neither they are sure about the source of the leaked users' credentials. 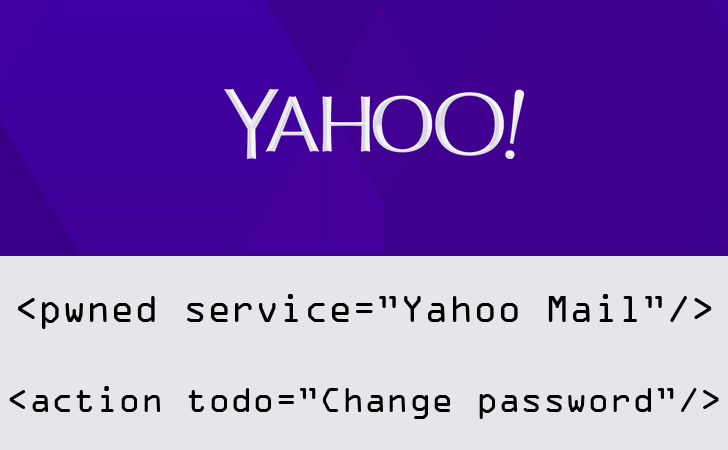 It appears to have come from a third party database being compromised, and not an infiltration of Yahoo's own servers. "We have no evidence that they were obtained directly from Yahoo’s systems. Our ongoing investigation shows that malicious computer software used the list of usernames and passwords to access Yahoo Mail accounts. The information sought in the attack seems to be names and email addresses from the affected accounts’ most recent sent emails."